Well-known, national authors will hold presentations and book signings as part of a variety of activities planned for the Random House Book Fair at Carroll Community College. 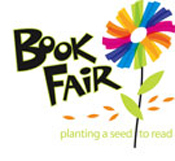 The book fair will take place on Saturday, March 2 from 9 a.m. to 4 p.m. On Friday, March 1, senior adult afternoon activities will take place from 1 p.m. to 4:30 p.m. In addition, there will be 4:30 p.m. and 7 p.m. showings Friday of the Disney movie "Wreck-it Ralph." The book fair also features discounted books, a silent auction, children's activities, and more. All books will be offered for sale at a 20 percent discount. With more than 150 million copies of her books in print, Debbie Macomber is one of today's most popular authors. The #1 New York Times best-selling author is best known for her ability to create compelling characters and bring their stories to life in her books. Drawing on her own experiences and observations, Macomber writes heartwarming tales about small-town life, home and family, enduring friendships and women who knit. Every book features the delightful sense of humor for which readers around the world clamor. Kate Klimo is the author of the magical and mystical "The Dragon Keepers" series. In January 2013, Klimo will launch her latest series, "Dog Diaries." Geared to early middle-readers, her newest series includes Ginger, the story of a golden retriever who was born in a puppy mill and is looking for her "furever" home, and Buddy, based on a real-life Seeing Eye dog. During a publishing career that spanned several decades, Klimo developed and launched a number of successful children's licensed publishing programs, including "Sesame Street," "Thomas the Tank Engine," "Star Wars," "Teenage Mutant Ninja Turtles," Disney and Nickelodeon. Her recent retirement from Random House as a vice president and publisher of children's books has allowed Klimo to concentrate further on her writing and to continue her work of turning books into TV shows, like she did when she brought "The Cat in the Hat Knows a Lot About That!" to PBS. Klimo has two horses and is an avid rider. She lives in upstate New York with her husband, Harry. Jeff Shaara, hailed as "The Master of the War Novel" by the Chicago Tribune, has spent the past ten plus years writing seven critically-acclaimed novels of the American Revolution and World Wars I and II. Every single one of the novels were New York Times best-sellers. Even with all of this success, readers clamored for Shaara to return to his roots – The Civil War. Now, in the first novel of a spellbinding new trilogy, Shaara returns to the terrain he knows best. "A Blaze of Glory: A Novel of the Battle of Shiloh" takes readers to the action-packed western theater of the Civil War for a vivid re-creation of one of the war's bloodiest and most iconic engagements. Proceeds from the book fair benefit student scholarships at Carroll Community College. For more information, contact Kathy Mayan at 410-386-8155 or e-mail kmayan@carrollcc.edu.